The Knowledge page is intended to summarize what is known about the Cosmos/Nature today; Expanding our perspective and understanding of it and our place in it. we are citizens of the universe. 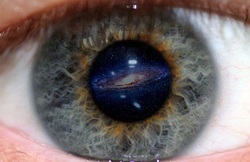 Your eyes are of the universe, and when you look at an object, its the universe looking at itself. David Christian teaches an ambitious world history course that tells the tale of the entire universe -- from the Big Bang 13 billion years ago to present day. "On the 40th anniversary of the famous ‘Blue Marble’ photograph taken of Earth from space, Planetary Collective presents a short film documenting astronauts’ life-changing stories of seeing the Earth from the outside – a perspective-altering experience often described as the Overview Effect. ‘Overview’ is a short film that explores this phenomenon through interviews with five astronauts who have experienced the Overview Effect. The film also features insights from commentators and thinkers on the wider implications and importance of this understanding for society, and our relationship to the environment." 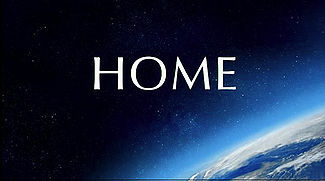 _Home is a 2009 documentary by Yann Arthus-Bertrand. The documentary chronicles from the beginning to the present day state of the Earth, its climate and how we as the dominant species have long-term repercussions on its future. A theme expressed throughout the documentary is that of linkage—how all organisms and the Earth are linked in a "delicate but crucial" natural balance with each other, and how no organism can be self-sufficient. The documentary claims to show the "awful truths" regarding our impact on the Earth, but also what we are now doing to combat and reverse it. "The "Declaration of Interdependence" was written in 1992 by David Suzuki and his wife, Tara Cullis, along with Raffi Cavoukian, Wade Davis, Guujaw and others. As the David Suzuki Foundation's founding document, it expresses our values as an organization and provides a vision for the survival of the planet through a "new politics of hope" that promotes connection and interdependence." The clean bin project is an award winning documentary, the film follows a couple in British Columbia, Canada for a year trying to live consumer and waste-free and explores the larger issues of garbage in North America. Featuring interviews with renowned artist, Chris Jordan and marine pollution expert, Captain Charles Moore, the film presents the serious topic of waste reduction with optimism, humour, and inspiration for individual action. The clean bin project is currently playing a festivals and in select community screenings. Visit the official movie website at www.cleanbinmovie.com for more information! _The non-profit Story of Stuff Project is a series of short, easily shareable online movies that explore some of the key features of our relationship with Stuff—including how we can make things better; providing high quality educational resources and programs to everyone from teachers and people of faith to business and community leaders; supporting the learning and action of the over 250,000 members of the Story of Stuff community. A documentary from the United States perspective of how various ecological issues culminated into the environmental movement. It looks over its origins, struggles, successes, failures, lessons, and future. _A collaborative effort of biologists and nature enthusiasts from around the world. On more than 10,000 World Wide Web pages, the project provides information about biodiversity, the characteristics of different groups of organisms, and their evolutionary history (phylogeny). Each page contains information about a particular group, e.g., salamanders, segmented worms, phlox flowers, tyrannosaurs, euglenids, Heliconius butterflies, club fungi, or the vampire squid. ToL pages are linked one to another hierarchically, in the form of the evolutionary tree of life. Starting with the root of all Life on Earth and moving out along diverging branches to individual species, the structure of the ToL project thus illustrates the genetic connections between all living things. AskNature is a free, open source project, built by the community and for the community. "This is our planet: planet Earth. It contains an astonishing variety of landscapes and climates. Since life began, around 4,000 million years ago, it has gone through extraordinary changes in its climate and in the species that live on it. 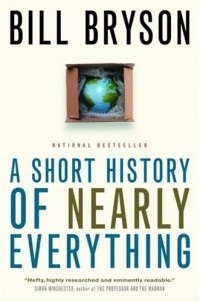 But now it seems that our planet is being transformed — not by natural events, but by the actions of one species: mankind." A new eco-adventure series exploring the most important water stories of our time, featuring Alex and Tyler Mifflin. University graduates, Alex from environmental studies on the Canadian East Coast and Tyler from film school on the West Coast, are miles apart on many things. But they are united by one: the desire to explore the delicate state of our Blue Planet.